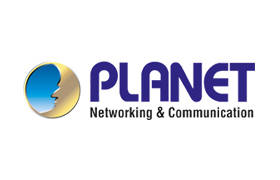 PLANET WDAP-W7200AC, an enterprise PoE access point, features the latest 802.11ac wireless technology, advanced management functions and superior encryption standard yet cost-effectiveness. Meeting today’s demand for advanced performance and security, the WDAP-W7200AC includes multiple SSIDs, WPA / WPA2, RADIUS MAC authentication and so forth. With the female reverse polarity SMA connectors, the WDAP-W7200AC can suitably and correctly be connected to external antennas and boosters in such wireless environments as warehouses, campuses and enterprises. 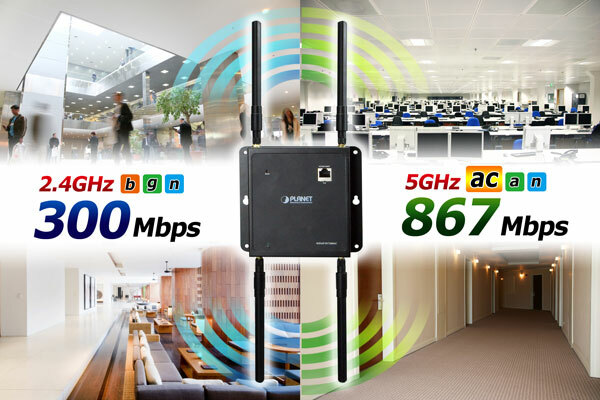 The WDAP-W7200AC supports IEEE 802.11a/b/g/n/ac dual band standards with 2T2R MIMO technology; therefore, it provides the wireless speed up to 300+866Mbps (2.4GHz+5GHz), which is 16x faster than the 11a access point at 5GHz frequency and 5.5x faster than the 11g access point at 2.4GHz frequency. 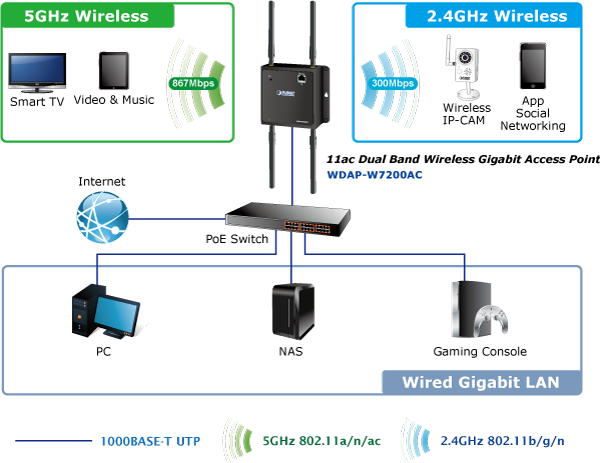 Moreover, the WDAP-W7200AC is equipped with a Gigabit Ethernet port. 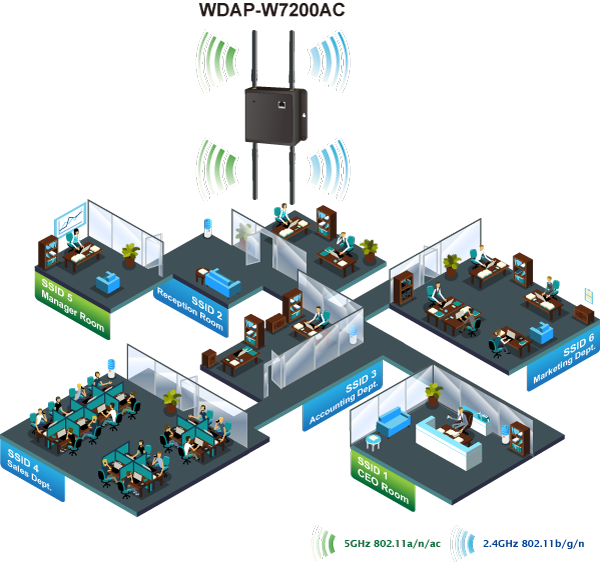 Compared with the general wireless APs, the WDAP-W7200AC offers faster transmission speed for the network applications and less interference to enhance data throughput. The incredible wireless speed makes it ideal for handling multiple HD movie streams, high-resolution on-line games, stereo music, VoIPs and data streams at the same time stably and smoothly. 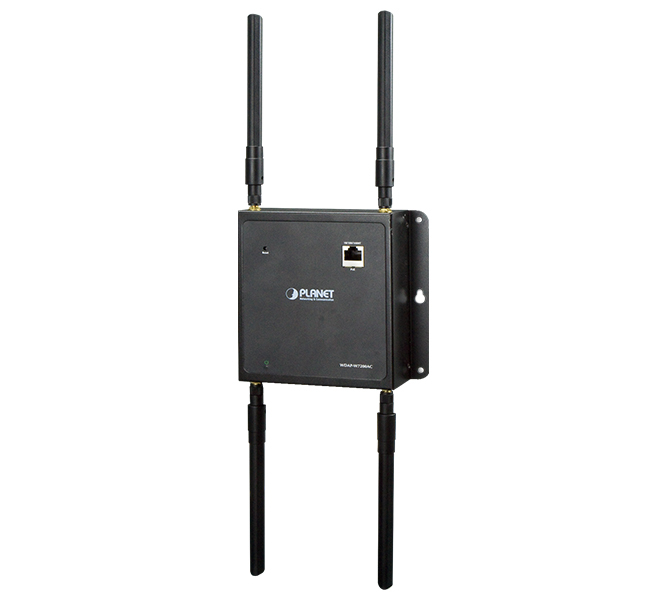 The WDAP-W7200AC is equipped with 5dBi detachable high gain antennas which provide strong signal and excellent coverage even in the wide-ranging or bad environment. 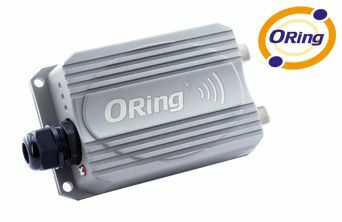 With the RP-SMA connectors, the external antenna such as omnidirectional or unidirectional or higher gain antenna enables to establish various highly-reliable applications. 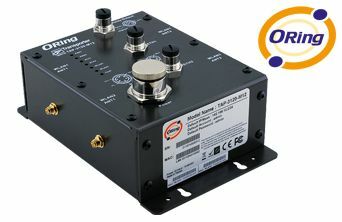 Its adjustable transmit power enables the administrator to flexibly reduce or increase the output power for various environments, thus reducing interference to achieve maximum performance. To experience extremely high-speed performance, the WDAP-W7200AC adopts IEEE 802.11ac technology to extend the 802.11n 40MHz channel binding to 80MHz and the implementation of 256-QAM modulation where higher transmitting/receiving rates go up to 867Mbps in 5GHz less interference frequency band. In addition, the WDAP-W7200AC is equipped with Gigabit LAN port to eliminate the restriction of 100Mbps Fast Ethernet wired connection to let users fully enjoy the high speed provided via wireless. The IEEE 802.11ac also optimizes MU-MIMO (Multi-User MIMO) mechanism to serve multiple devices simultaneously. As it is a highly-reliable industrial wall-mount design, the WDAP-W7200AC can be firmly installed on the wall conveniently. The compact, rugged IP30 metal wall-mounted housing fits easily in any space-limited location and also makes it strong enough to withstand any harsh, industrial environment. It adopts “Front Access” design, making the installing, cable wiring, LED monitoring and maintenance very easy for technicians to manage. The WDAP-W7200AC provides fixed and magnetic wall mounting installation methods making its deployment more flexible and highly efficient. In aspect of security, besides 64/128-bit WEP encryption, the WDAP-W7200AC is integrated with WPA / WPA2, WPA-PSK / WPA2-PSK and 802.1x RADIUS authorization to secure and protect your wireless LAN. It provides the wireless MAC filtering and SSID broadcast control to consolidate the wireless network security and prevent unauthorized wireless connection. 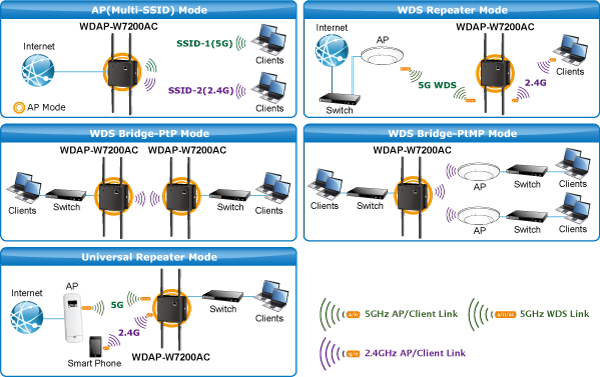 Being an access point, the WDAP-W7200AC supports multiple SSIDs (10 sets of SSIDs). Moreover, its Wi-Fi Multimedia (WMM) mechanism provides enhanced QoS over wireless connection for better performance in multimedia transmission like on-line gaming and video streaming, which are classified as a top priority. The WDAP-W7200AC supports AP, WDS Bridge, and Repeater modes, through which it provides more flexibility for users when wireless network is established. Compared with general wireless access point, the WDAP-W7200AC offers more powerful and flexible capability for wireless clients. Compliant with the IEEE 802.3at Power over Ethernet Plus standard, the WDAP-W7200AC can be powered and networked over a single UTP cable. It thus reduces the needs of extra cables and electrical outlets on the wall, ceiling or any other place where they may not be found or may be difficult to reach. Thus, the wireless network deployment becomes more flexible. The WDAP-W7200AC supports AP controller which can be switched to “managed AP” mode and thus can be centrally managed by PLANET WAPC-1232HP smart AP controller. It will certainly benefit the system integrators when the scale of the wireless network gets bigger. Furthermore, with user-friendly Web UI and Planet Smart Discovery supported, the WDAP-W7200AC is convenient to be managed and configured remotely in a small business wireless network. 5GHz channel list will vary in different countries according to their regulations. The WDAP-W7200AC adopts the latest 802.11ac technology to provide extremely high-speed and powerful dual band wireless access without signal interference. Its durable and sturdy IP30 metal housing and wall-mount design make it strong enough to withstand any harshly industrial environments and flexible enough to be mounted in any wall. 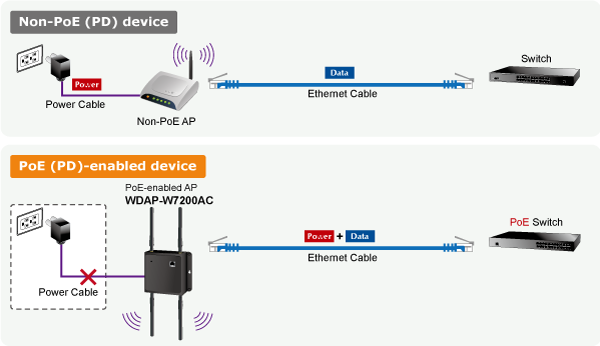 The WDAP-W7200AC supports standard 802.3at PoE power scheme, effectively reducing the cabling cost. 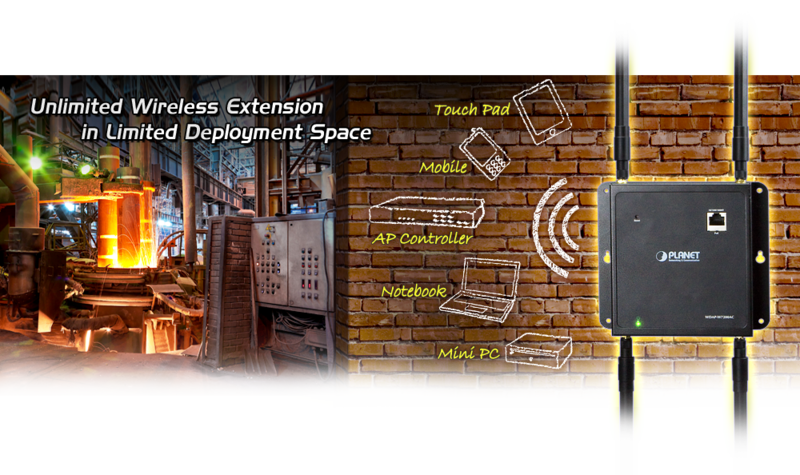 The WDAP-W7200AC, with the Planet Smart Discovery Utility and WAPC-1232HP AP Controller supported, enables a small or medium wireless network to be simultaneously configured to minimize deployment time, effort and cost. No expensive instruments or complex back-end subscriber managed systems are required for deployment, thus bringing the most convenience to system administrators or machine operators.